From Hotel: 2.00/2.40 pm Apr. - Oct. 1.30/2.15 pm Nov. - Mar. From Agency: 3.00 pm Apr. - Oct. 2.30 pm Nov. - Mar. 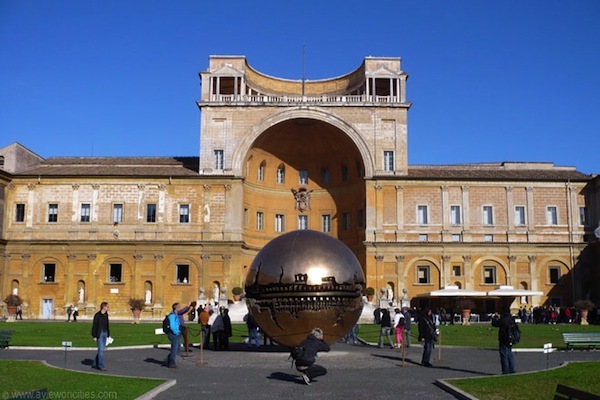 The tour begins by coach passing through Piazza della Repubblica with the Fountain of the Nayads and following the ancient Aurelian Walls which once surrounded the ancient city. From Piazza del Popolo where you will see an Egyptian obelisk dating back to the time of Ramses II. Finally, on arrival at the Vatican Walls, your guide will then lead you into the Vatican Museums* taking the beautiful Spiral staircase and continuing through the Gallery of the Tapestries and the Gallery of the Geographical Maps before arriving in the famous Sistine Chapel* with its magnificent fresco of the Last Judgement by Michelangelo. Length of the tour 3 hours.